Barn Find Collector Cars 2018 is a vivid 16-month calendar showcasing the amazing automotive barn finds. Live every auto collector's dream! 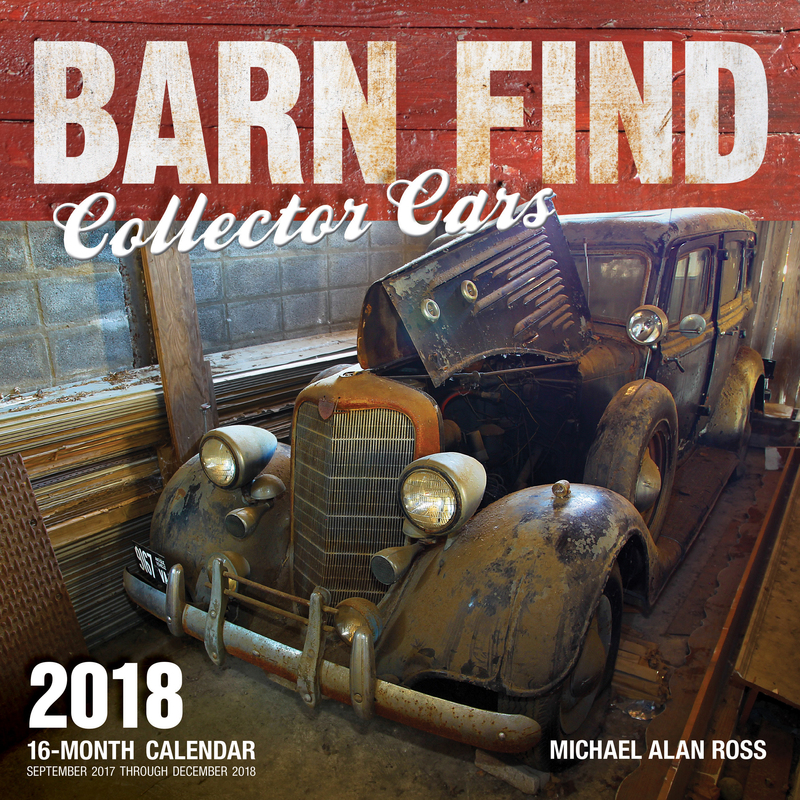 Barn Find Collector Cars 2018 is a vivid 16-month calendar showcasing amazing automotive barn finds. Michael Alan Ross’ evocative photography reveals long-forgotten classic and collectible cars, from Packard sedans to midcentury Fords and Chevys, to rare European cars. Whether kept in pristine shape in the family garage or left to rot out behind the wood shed, you'll find them all in Barn Find Collector Cars 2018. Michael Alan Ross has carved out a career photographing the studied nuances, latest models, adrenaline-rushed raceways, and proud owners of the car world. His love of automotive design includes an encyclopedic knowledge of sculptural engineering details with a parallel appreciation for the evolution of componentry. Michael's photography is featured in Motorbooks' Barn Find Road Trip and Rockin' Garages, as well as in a wide range of editorial and advertising in the US and Europe. He lives in San Rafael, California.